There’s a risk when traveling that your heart may be stolen by one of the cities or countries you visit. Just like love, you don’t see it coming. It just hits you hard and quick, leaving your heart constantly yearning to return to a place that feels like home. Croatia’s my first experience with a country that has totally and completely stolen my heart. I take her with me wherever I go and, like a long lost lover, wait for the day that I can see her again. 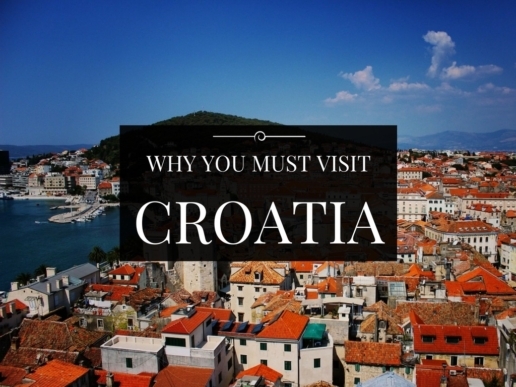 What’s so special about Croatia? How did she steal my heart so completely when others have failed. The answer isn’t simple. It’s not one thing. It’s everything. It’s the warmth and graciousness of her people, it’s the beauty of her winding roads, it’s her food, her culture, her sounds and smells. The two weeks I spent in Croatia were unexpected bliss. When I look back at my time here, I think of my decadent stay in Rovinj, the amazing roads trips and stunning views of the Adriatic. 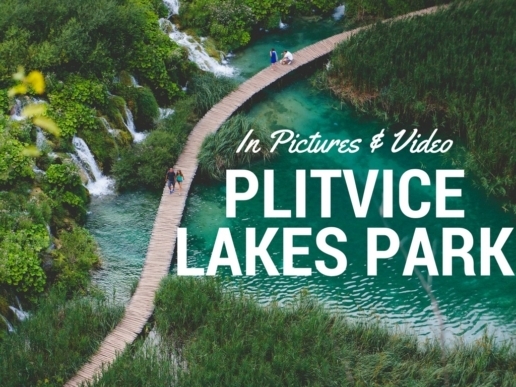 Starting from Zadar ( a small town with an understated charm ), we did a daytrip to Plitvice Lakes; home to (I would argue) the world’s most beautiful park. The drive up to Plitvice Lakes was one of the most incredible and scenic roads trips I’ve ever taken. The sky and clouds that day looked so large and open, the mountain range was grand and majestic and the sea calm, blue and inviting. Never have I been so happy to be a passenger in a car. How can I even begin to describe Plitvice Lakes? It’s hard to believe a place like this exists on Earth. Located in the mountainous Karst region, this park was lush and green when we visited. The sound of the rushing water, rolling down the hills into the many lakes, filled the air. Walking through the park on the elevated wooden footbridges made the experience even more special. It was incredible to see so many heavenly waterfalls in one place. After Plitvice we moved onto Croatia’s famous Dalmatia coast. We based ourselves in the town of Bol ( on the island of Brac ). The apartment we booked for the week was amazing. The living room was large and airy and the furnishings had a cool beachy feel. The amazing space was framed by large sliding doors, that led onto a massive balcony with panoramic views of the seaside. Island life on the Dalmatia is just like the movies, and Bol was the perfect base to explore this region. Bol’s streets are lined with stone buildings that have terracotta roofs, its locals shared a relaxed disposition (which comes from living in heavenly surroundings) and its food was out-of-this-world good. I’m not sure if Croatians know how lucky they are to live in such a beautiful country. Its like a beautiful woman who takes her looks for granted. She doesn’t realize her good fortune to have been blessed with perfect genes. Everyday we ventured out indulged in the beauty that surrounded us. We spent our days lounging at different beaches, swimming in the cool blue waters that glistened in the sun and eating as much seafood as our bodies could take. The highlight of our retreat was when we rented a boat for the day. Whenever we found a secluded beach or beautiful spot, we’d anchor the boat and jump into the waters. This was our own private heaven. Midway through the trip we came across a restaurant that could only be reached by boat. Little did we know that we’d have THE BEST seafood during our whole stay at this place. That evening, as the sun set, the sky turned a gorgeous shade of pink. It was surreal. We couldn’t have asked for a more fitting end for that day. I felt so much joy, more than I’ve ever felt in any point in my life. I was present, grateful and filled with a deep sense of inner peace. I could want for nothing more. 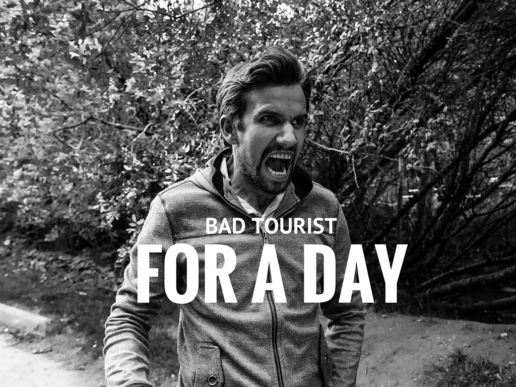 Again, I believe in the power of video, so here is my diary of our experience in Bol. Traveling through Croatia, I learned to appreciate the power of living in the moment and the joy our surroundings have on us. The peace of mind you get from living a gentler slower pace of life was evident in people’s faces. I envy that. I want that. But for now, as I travel the world, I need to keep my heart open to other places and destinations. I can’t have one lover. So Croatia, please return my heart so that I can enjoy the rest of my travels. And I promise, one day I’ll return to visit you again.